This used to be one of my favorite locations in Madison but has fallen to the wayside as they do not officially qualify as a brewpub anymore. I much prefer Great Dane Fitchburg or JT Whitney's over this location. This great beer bar does feature some local favorites and the ambiance is still dark and quiet. Check their website for regular live music and DJs on the weekends. Food is also outstanding and grab a few nice coasters. Don't be confused by the "Brewing Company" part of the name. This used to be a brewpub, but they have since ceased brewing and now they are simply a beer bar. The brewer from this location has moved on to open up Ale Asylum across town. 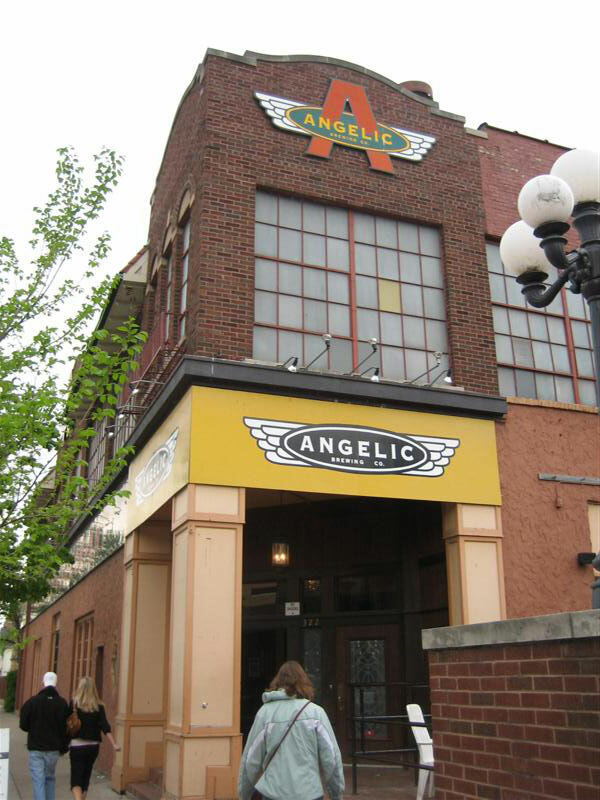 There is obviously a good relationship between these two entities, since there are quite a few of Ale Asylum's beers available at the Angelic. After you are finished drinking Ale Asylum beers, the interesting selections seem to peter off. If you have already tried the full assortment from Ale Asylum, you might find a more interesting tap selection elsewhere. There is food available but I have not ordered any during my three visits here. I usually end up sitting at the bar after walking here from one of the many other beer friendly locations nearby. I like the feel of the Angelic and if you were not able to get to Ale Asylum and you wanted to try their beers I would definitely suggest a stop. Especially if you are already on foot in the downtown Madison area.